This is not a post about the companies in the title. It’s merely a parable. It’s a post about marketing. Marketing consists of two parts, the creativity and the distribution thereof. In marketing one needs a fabulous idea turned into a product, and then one needs to bring this idea to the market, distribute it, earn from it. 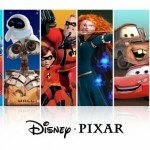 The “pixar” of marketing is the p-roduct, the “disney” of marketing is the d-istribution. Creation of a product, as in being created out of nothing is like conception. Passionate, intense, erupting, and ultimately satisfying, yet also fading, exhausting, addictive. Distribution of a product, like bringing a product in front of masses is a lifelong mission, requiring parenting, care, upbringing, constant presence. It is forever. Which of these two are you, a pixar, or a disney?